sickness and infection spread – ultimately leading to disability. Let’s turn on the taps in Ethiopia! 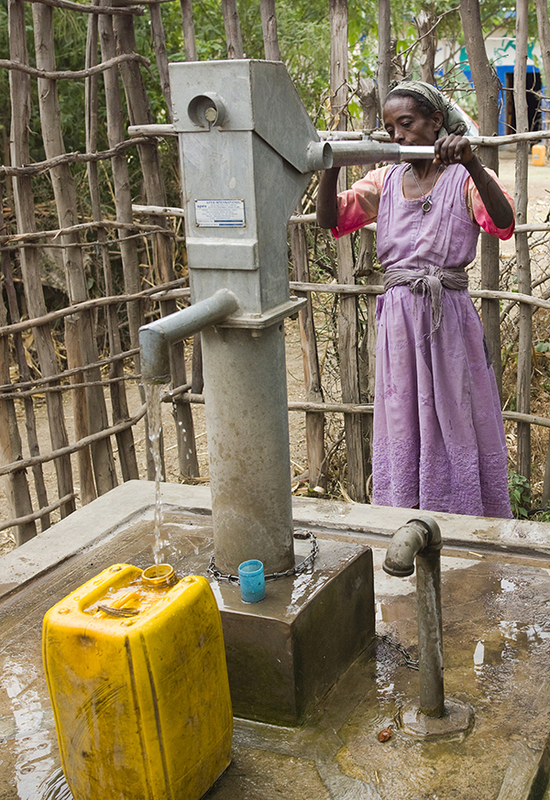 Only a quarter of people in the largely rural Amhara region of Ethiopia have access to adequate, clean water. The average person consumes just 3-4 litres per day – less than the 5 litres generally considered essential for basic human survival. Women and girls typically walk 3-8 kilometres to get to the nearest water – water that is often full of leech worms and algae. It’s almost impossible to keep eyes and faces and hands clean when water is so scarce. So it’s little wonder, 62% of people in Amhara have trachoma – the highest prevalence in the world. Children are the active carriers of the eye infection. Women and girls, the primary caregivers for these young children, are at heightened risk of re-infection and blindness. From 2014-2018, Hope and Healing International and our partner ORDA have a strategy to dig and cap 200 water sources – a huge step towards 100% coverage for 2 drought prone regions. Each water source costs an average of $5,490 – the cost to dig a well or to cap a spring. For every water source, we also establish a WASHCO – a local committee to monitor and maintain the well or the spring. We reached our goal in 2017 to create 40 clean water sources. 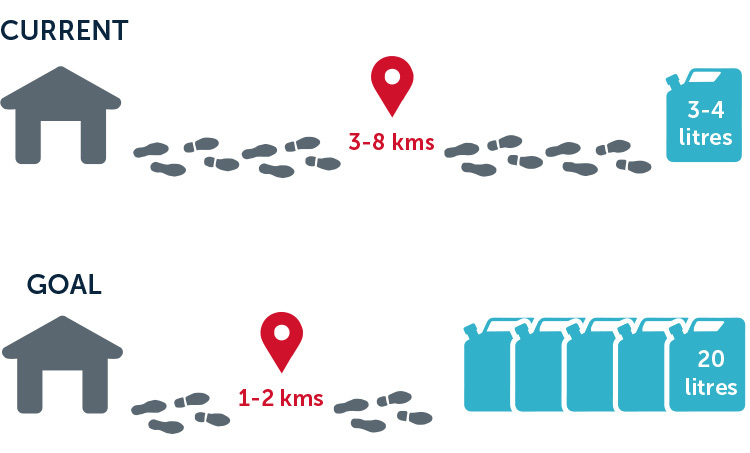 Through our partners and supporters we capped 26 springs, hand dug 8 wells, and installed 6 pipe extensions. To create another 40 clean water sources – protected from animal urine and feces, from environmental pollution and flooding in the rainy season. And each is accessible for people with disabilities. 40 water sources will cost $219,600 and will provide clean water for 14,000 children, moms and dads. “I didn’t know that I could become blind or that I could infect others with the disease. It is hard for me to know that my children are at risk. My daughter is only 5 years old, my son 13.